January 30th was the best trading day in 2019 for XRP, as it gained more than 20% in value on the Kraken exchange. 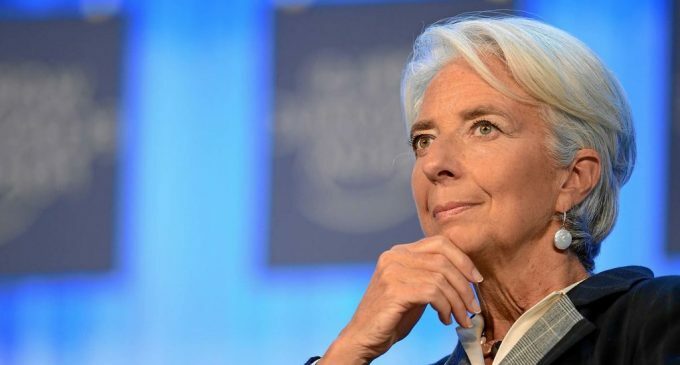 Ripple, the company behind XRP, had been widely expected to get involved in the cross-border payments industry and now, the IMF chief Christine Lagarde, made some supportive comments during the Paris Fintech Festival. You’re going to reduce your costs. You’re going to expedite your transactions, and you’re going to inspire confidence because you will build out on the basis of an existing backbone, which is your bank and the confidence, relationship you’ve established with your customers.So that’s where I see changes happening now. If you think of Circle, and Ripple and all those – that’s where they are active and helpful. As crypto weakness seems to extend in 2019, buyers are trying to find the few cryptocurrencies which will deviate from the general trend and bank some gains. XRP continues to be among the most promising tokens since the company behind it tries to solve key issues related to cross-border payments. For those of you that do not know, Ripple is aiming to develop a series of products, like XRapid, which could develop the banking system and make money transfer cheaper and faster. Ripple is widely regarded as the biggest competitor to SWIFT, the company which currently hold a big market share when it comes to cross-border payments. What’s even more interesting about SWIFT, is that a link between the company and R3’s Corda Settler (which, by the way, is using the blockchain technology for transactions between fiat money and cryptocurrencies such as XRP) had been recently rumored in the press. If the information is true, then SWIFT is fully aware that it needs to substantially improve its services and the blockchain technology is the right tool to do that. In terms of price action, XRP started to trend higher right around the 28.5-27.8 cents support area, which we have mentioned in our last weekly crypto analysis. Right now, the price is much choppier, with sellers jumping in at higher levels, but overall, we believe XRP has great upside potential if further good news will come out and fuel the growing positive sentiment.